The weather in Canada may not always be sunny but the Canada nightlife is always hot and happening. Canadians love to party even if the country is covered with snow for half of the year. Canada nightlife scenes are vibrant offering various options of evening leisure and entertainment. Whether you are into dancing, pub crawling, or live music jams, the cities in Canada has everything to offer to you. After all, it is the world’s second largest country. That being said, it would be unlikely to hit every happening club or bar in the town. But worry not! Here is the list of best night clubs and bars around the country you should hit when you are traveling to Canada. Nightlife in Toronto, Canada is always abuzz with activities and leisure. Toronto is a one true reflection of Canada. Be it theater scenes or stand-ups, pub-crawling or club-hopping, Toronto is the best place to partake in chill nightlife scenes. Here are some of the best places where you can go out late in the evening for some entertainment. 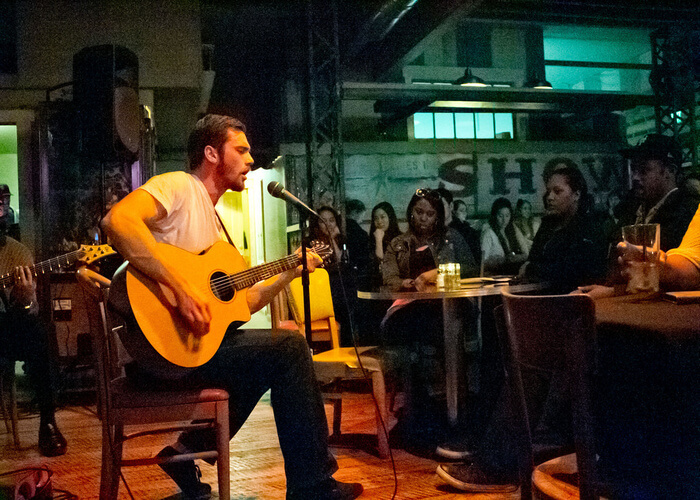 Hugh’s Room is where the big leagues in the music come to play live music for their audience. The cozy venue with its small circular tables create an environment where you feel a one-on-one connection wit the musician. The nightspot even has a restaurant and a bar with an eclectic menu where you can get hang around before the concert begins. The venue makes for a perfect place to have an intimate evening with your partner. If laughing out loud on a Friday night seems like a wonderful plan, Second City is at your disposal in Toronto. Second City in Toronto is the place to have a good time while you chuckle on the jokes. The comedy club have been churning out some of the top stand-up comic artists in the industry for past 50 years. Their comedy sketches and late-night improvs are a huge laughter riot. This hip and happening nightclub is the answer to the question ‘Where’s the party tonight?’. Right on the Entertainment District in Toronto, Uniun is a popular nightclub known for its dining and dancing scenes. Its state-of-the-art music system is so loud, prepare to say ‘What?’ out loud on multiple occasions. Located inside an old 1920’s factory, the roofs are lined up with LED lightning and comfortable leather banquettes to crash to when you get tired of dancing. The chic and European-like Montreal is known for its gambling and live jazz music. The urbane Canadian city is a home to absolutely beautiful casinos and high-end downtown hotels. Montreal is all about festivals, art, and good food. Check out these places to experience a vibrant nightlife in the city. Known by its remarkable architecture and grandeur, Montreal Casino is the largest casino in Canada. The casino provides you with incomparable entertainment of games, cabaret, bars, and world-class cuisine. There are over 3200 slot machines and 150 gaming tables. So you will get plenty of chances to try your luck. FYI, the casino is open 24 hours, seven days a week. Are you a kind of person who likes to try out new cocktails? If yes, then Montreal, Canada nightlife has got a surprise for you. Bar le Lab is a speakeasy bar which offers you an eclectic menu of fine crafted cocktails and bistro cuisine. The discrete bar is owned by a French native who has a great flair for mixing and juggling. The bartenders at the counter will surprise you with unusual combos and their fire juggling stints. In a mood for some Jazz swings? Head straight Upstairs (pun intended). Decorated with classic wood paneling and stoned walls, Upstairs Jazz Bar & Grill is a leading jazz club which hosts live jam sessions. The decor is complemented by a panel of vintage album covers. The live music by some of the great performers create a magical vibe. Enjoy some great jazz music while you take a sip of your favorite Canadian Whisky. Halifax in Nova Scotia is the perfect place in Canada for pub-crawling. The guide to enjoy Halifax, Canada nightlife is to checking out its so, so many pubs. Argyle Street in Halifax is brimming with a lot of great pubs and the crowd here does not sleep till 4 in the morning. Here is a list of all the famous bus which are famous among Haligonians, the native of Halifax. A home to more than 60 draft beers, Maxwell’s Plum is a classic English pub made of dark, wooden design. After a long exhausting day of sightseeing, it is a perfect place to gulp down your fatigue with their collection of speciality beers. Sit back and enjoy the Halifax skyline from the pub’s terrace as you sip from the frothy beer and munch on their delicious pub-comfort food. As soon as you enter the pub, You will get a Nova Scotian vibe about this place. The decor and interiors of this place display the history of Nova Scotia. 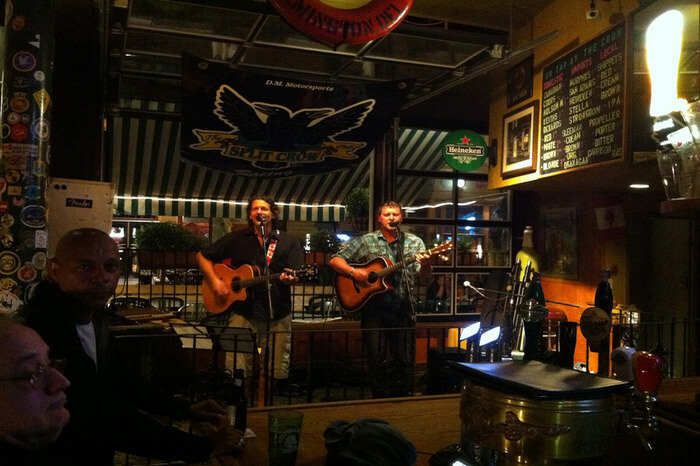 You will be served with generous mugs of grog, great pub food, and toe-tapping music. Every evening, they have some live music lined up to entertain their guests. The pub has got a nice and chilled-out ambiance to hang out with friends. If dancing and clubbing is more of your thing, The Dome is a great option in Halifax to enjoy canada nightlife. It is a premiere nightclub which comes with its own style guide. So you might want to follow that. 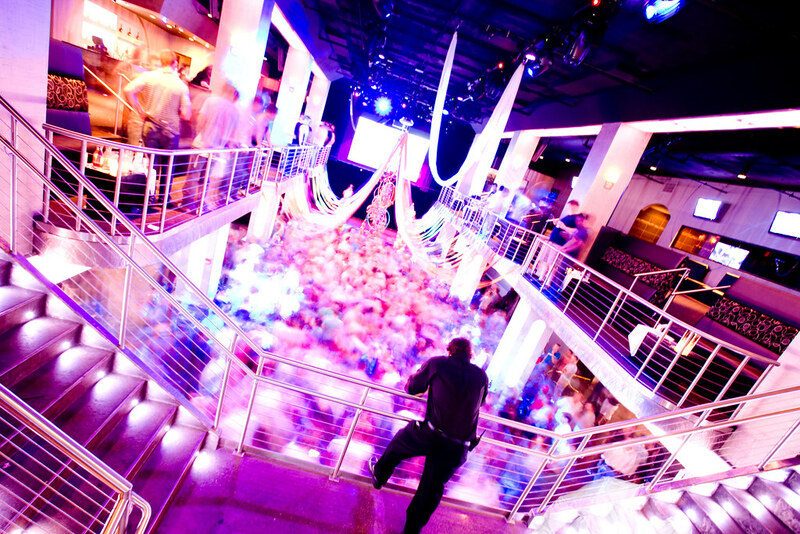 The vast party club has multiple dancing rooms, a live stage, and a mezzanine floor for those who are merely spectators. The atmosphere here is absolutely dope here. Dance your night away to the electrifying music by the DJs. Regina, the capital of Saskatchewan is another happening city to enjoy Canada nightlife. The sunniest city in Canada, Regina is brimming with a lot great nightclubs. Check out some happening places to spend your evenings at. Suggested Read: Hanging Hotel In Canada: Free Spirit Spheres Are Here To Satiate The Wanderlust Of Free Souls! Begin your party in Regina at Habanos Martini & Cocktail Club. The glitzy club is the best place to get your party animal out. It offers a great variety of handcrafted cocktails and they have some of the best DJs in the country mixing up some dope music. You wouldn’t want to stop dancing until each and every cell in your body gives up. If any place in regina knows how to put up great events, it is Noir Nightclub. The clubbing experience they provide is one-of-its kind. The high-end nightclub has a premium drinks, quality music, and hookahs. They have got excellent DJs lined up from Thursday till Sunday. So you don’t even think of partying anywhere else on weekends. Kick-out party sessions, acoustic sessions, and an eclectic menu of cool alcoholic beverages is what you can expect from Ale House. If you want to get away from the hype, and have chill-out scenes, Ale House provides you with a perfect laid-back atmosphere. The versatile bar is packed to the brim on the weekends. Enjoy the live country music and their cool theme nights all throughout the year. Suggested Read: Go Glacier Kayaking In Canada & Live Your Craziest Fantasy Ever! Red House is a kind of a place you would want to visit if you are not in a mood to whoop it up, yet still want a good time. The music here is so great and lud that you wouldn’t be able to hear the person next to you. The place has got a cool bar and a great social atmosphere. It is a great spot to hangout with friends. The place has got chill vibes and you can easily spend hours here. Suite 69 boasts as the most appealing spot in Edmonton. The music and liquor at this place keep flowing even if your energy runs out. The electrifying ambiance of this place is perfect to get wild and crazy. Open only four nights a week, this is where all the young crowd in Edmonton comes to unwind. Suggested Read: A Guide To The Banff National Park: An Adventurous Getaway To The Canadian Rockies! Applauded as a popular club by Canada Country Club Association, Cook County Saloon provides you a relaxed atmosphere to chug a beer with your friends and enjoy some great country music. Even if you want to dance, there is plenty of room to kick up your boots. 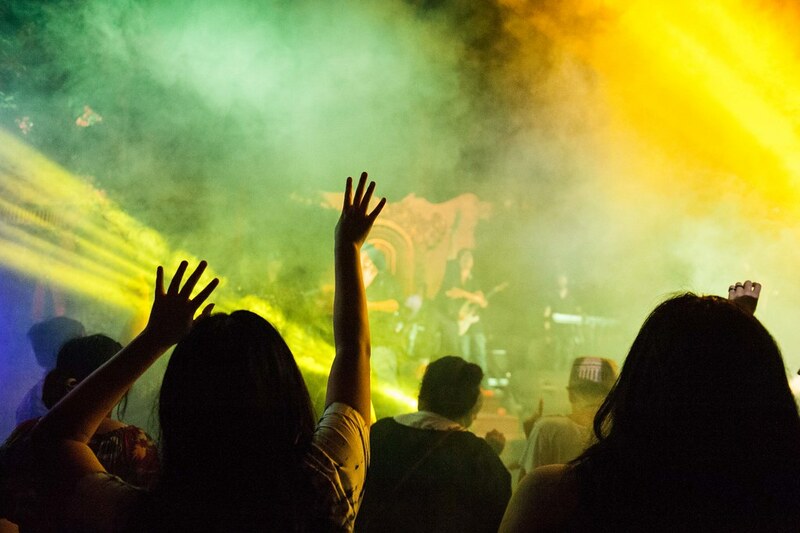 The place draws a huge of crowd of music-lovers from all around the country. Clubs and bars in Canada get crowded as the night advance. Some night clubs in Canada only take admission if your name is on the guest list. Do check before leaving or make proper reservations. If you like casinos and gambling, Montreal has got the best of casinos in the country. Canadians are known for their etiquette and manners. Please don’t misbehave or indulge in any obscene behavior. Canada nightlife is as vibrant as its landscape. Whether you are into dancing in a club, watching gigs, or gambling, the best cities in Canada has always something fun going around. If you are planning a trip to Canada soon, you know where to head for an exciting evening.